Brighton and Hove Albion gave Liverpool a wake-up call on Saturday that Jürgen Klopp considers timely for his team. The Reds achieved a third successive victory of the new Premier League season as Mohamed Salah’s goal – and Alisson Becker’s vital late save from Pascal Gross – secured a 1-0 result at Anfield. In their post-match assessments, however, the consensus of the manager and players was that Liverpool were somewhat short of the fluency seen in their previous home game, an emphatic win over West Ham United. But, aside from the all-important three points, Klopp observed another silver lining on a trying evening. “Winning 5-0, for example, with a brilliant performance, I’m sure this early in the season Leicester would have given us a nice wake-up call then. So, we are already awake now after that game,” he explained to Liverpoolfc.com. Liverpool chalked up a third clean sheet in a row in 2018-19 and their seventh consecutive shutout at Anfield in a run that started in early March. 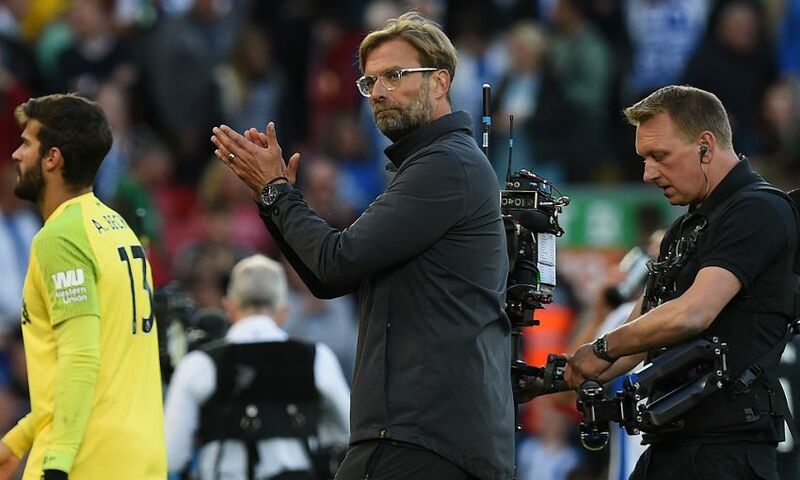 Klopp is encouraged by the habit – one he believes will come in handy on the occasions when the Reds’ attacking play isn’t at its highest level. “It’s nice. Of course we have worked a lot on it,” added the German. “I know people will say it’s Virgil [van Dijk] – he has a massive impact. Now it’s Alisson – and he has a massive impact. “But we had that in different formations and our good run defensively started last year in October or so. That’s absolutely good and very important for us. “We know we’re always able to create chances but, like today, we will not always use them and then a clean sheet helps massively. I’m fine with that.